Coach Troy gets two pictures because at Redmond - Goalies get whatever they want. Before becoming our High School Goalie Coach, Troy was playing goalie since he was an eighth grader. He played for 4 years at Niskayuna High School in upstate NY, where he was a 2012 US Lacrosse Academic All-American. 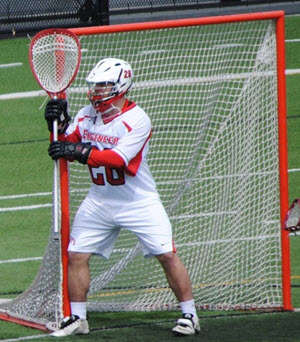 He went on to play goalie at Rensselaer Polytechnic Institute (RPI), making it to the DIII NCAA tournament in 2016. After graduating in 4 years with both a B.S. and M.Eng. in Computer & Systems Engineering, he moved to Seattle to pursue a career in software at Microsoft.